​I like to spend time on my computer, hang out with my friends, and play games. My favorite game is solitaire. I enjoy reading books, especially mysteries. I also love to write plays and stories. Acting is a special interest. I have been acting since I was five years old. My first role was as a pirate in The Messing Room. Every summer I participate in Challenge Aspen Music and Dance Camp. You can read more about Challenge Aspen in Challenge Aspen Plays. I also do adaptive snowboarding through Challenge Aspen. I was the first adaptive snowboarder. 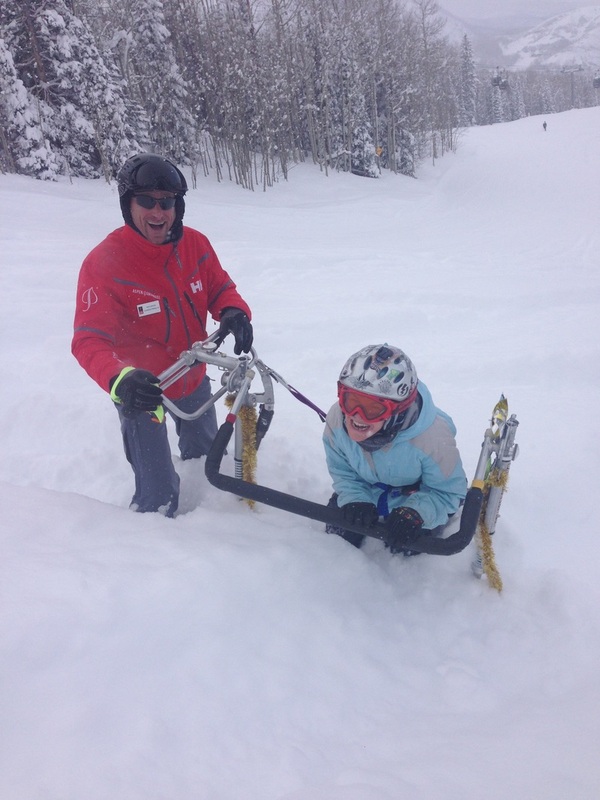 I had been adaptive skiing since I was five. When I was nine years old I decided I would like to snowboard. At that time there was no adaptive snowboard equipment. My ski instructor, Rich Ganson, and I were given the first experimental version of an adaptive snowboard made by Bobby Palm. It was made of PVC pipe and very simple. We spent a week developing it so that it was fully functional and more adaptive for different needs and sizes. We broke the first one rather quickly catching too much air over a big jump. Tuff equipment for a tuff girl!!! Once we had added the needed changes and parts, it was brought to a great adaptive equipment company called Freedom Factory. They then built a version for all kids and adults with challenges so they could explore snowboarding. This new version was used for the first group of Iraqi war vets that came to Snowmass for rehabilitation and was a huge part of their growth. Some of this can be seen in the documentary “Beyond Iraq” which received accolades at the Sundance film festival. You can see my latest snowboarding videos in Movies and New Snowboard. Who me? I keep it real.